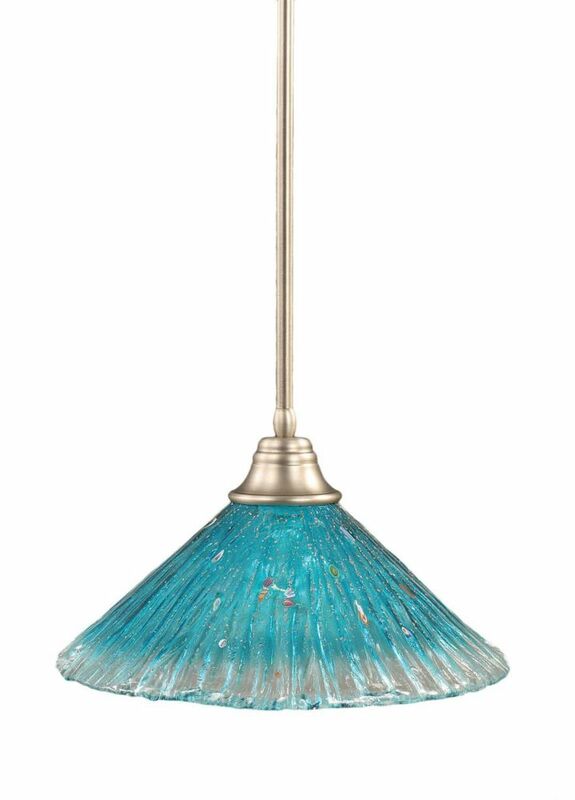 Concord 1-Light Ceiling Brushed Nickel Pendant with a Teal Crystal Glass is rated 4.0 out of 5 by 1. Rated 4 out of 5 by Mary from A very nice addition to our very large kitchen island. We had a heck of time finding pendant lig... A very nice addition to our very large kitchen island. We had a heck of time finding pendant lights with some color that weren't either mini pendants or full size chandeliers. These 16" pendants are the perfect size and have enough length options to get it exactly where we want it.